Can you believe that 2017 is almost half over already? Wow! Where did the time go? I’ve been thinking about how every year we set New Year’s resolutions—and by June, those goals are just distant memories. So maybe it would be a good idea for us all to set a Midyear’s resolution every year in June. There’s nothing wrong with setting a goal for how to make the next six months better, or for what you want to be doing six months from now. Margie loves the saying “A goal is a dream with a deadline.” So think about the next six months coming up and go ahead and dream about the person you want to be or the thing you want to do. When you start to send energy out as a dream, you never know who may show up in your life to help you accomplish it. That’s what happened when Spencer Johnson and I wrote The One Minute Manager. The book was due to go on sale in May 1982. So in September 1981, Spencer and I met at the La Jolla Cove. We had The New York Times book review section and a bottle of champagne, and we talked about our goals and dreams for our little book. We set a goal to sell 500,000 copies—no business book had ever sold that many—and we dreamed that it would be on The New York Times bestseller list for six months. Then we celebrated, clinking our glasses as we sat there with the bestseller list, and it was really a fun time. That was on a Sunday. On Monday I was on a plane bound for Chicago. I introduced myself to the guy sitting next to me in first class and asked him what business he was in. He said, “I’m a regional sales manager for B. Dalton.” (At the time, B. Dalton was the largest bookstore in the US.) I said, “You’re kidding me. You sell books?” and he said, “Sure, we have 750 stores.” So I started talking to him. By the time we got to Chicago, I had come up with a whole strategy to reach the business buyers of B. Dalton and Waldenbooks and all the other bookstores. Before we got off the plane I said to the guy, “I’ll bet you weren’t supposed to be sitting here, were you?” He said, “How did you know that? They goofed up my ticket and at the last minute I was upgraded to first class.” I laughed and said, “You had no choice. I sucked you into this seat with the energy from my dream and vision about this book.” Ha! And you know what? That little book did all right. So dream big—and be sure to let other people know what your vision is. Someone you meet might be able to help it come true. 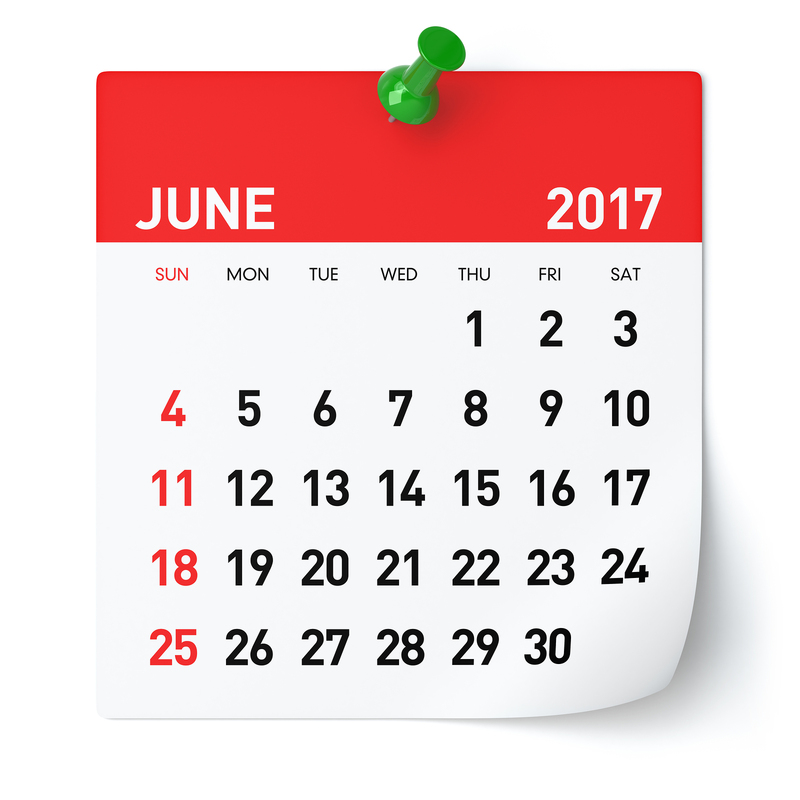 June is almost over! What’s your Midyear’s resolution? 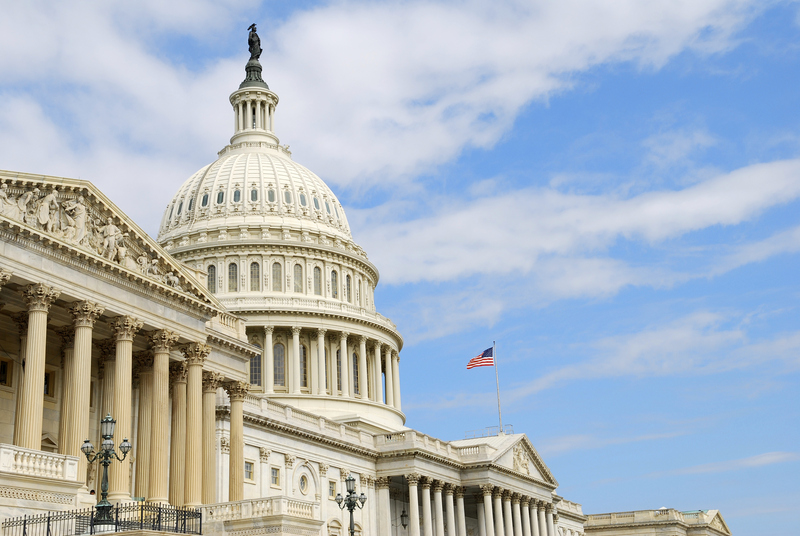 Is there such a thing as servant leadership in government? When I am confronted by these kinds of concerns, I love to tell about an experience I had several years ago at my local branch of the Department of Motor Vehicles (DMV). Stop me if you’ve heard this one! When you mention the DMV, most people would say it’s a government bureaucracy that often treats them as a number instead of a human being. I felt the same way at the time—but like we all do every few years, I had to go there in person to renew my driver’s license. I hadn’t been to the DMV in years and headed to the office with low expectations. The director obviously had a compelling vision for his department. The point of their business was to serve the needs of their customers, and to serve them well. What did this director do? I learned that he cheered everybody on—that’s why he was out in the middle of the action. He also cross-trained everyone in every job—that way, if a flood of citizens came in suddenly, they would be able to provide the service that was needed. And no one went to lunch between 11:30 and 2:00, because that was the busiest time of day for customers to come in. This director created a motivating environment for his people. His team members were really committed. Even employees I recognized from past visits—who at the time had seemed stiff and jaded—were now excited about serving. When leaders are servants first and leaders second, they make a positive difference in everyone around them. Would you like to work for this kind of leader? You’d better believe it. Why? Because he’s a servant leader who treats his people as his business partners in implementing the service vision and solving problems. If this philosophy can impact a government agency like the DMV, why can’t it impact all segments of society, including the U.S. government? Have a Compelling Vision: If people don’t have a larger purpose to serve, the only thing they have to serve is themselves. Treat Citizens as Business Partners: People who are well informed have a greater commitment to help solve problems. Involve Every Sector of Society: No problem can withstand the assault of sustained collective thinking and action. Elect Servant Leaders: The more leaders we have in Washington who realize that their job is to serve, not to be served, the better chance we have of breaking our political deadlock and maintaining our reputable standing in the world. Thanks for tuning in to the Leadership Vision for America series. 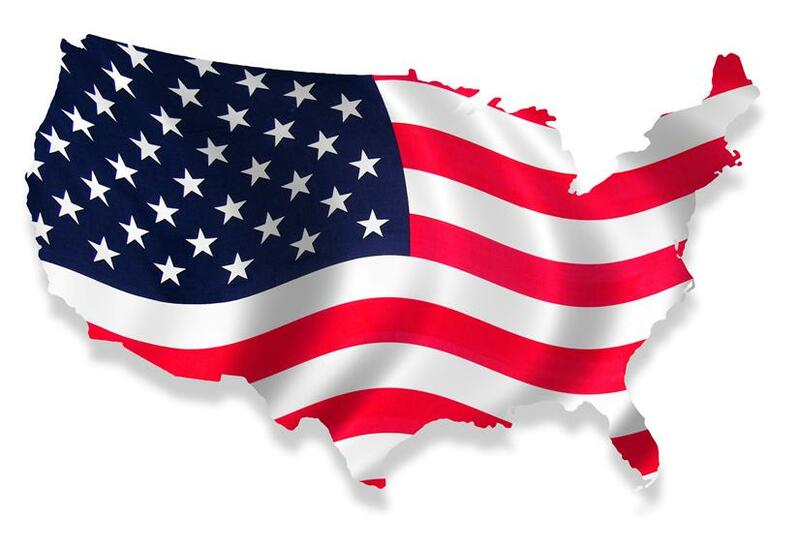 America is a great country and I feel blessed every day to be able to live here. Let’s encourage our leaders to do what they need to do to keep America moving in the right direction. And if you’re an American citizen, be sure to get out and vote on November 6, on national, state, and local political races and issues. Your vote counts! I’ll have some final thoughts next week as I conclude this series. What are your thoughts as Election Day approaches? Now let’s look at the fourth and final secret for fixing Washington. This secret will encompass and bring to life the first three secrets. Assumption: The more that our leaders are in Washington to serve and not be served, the better chance we have to mend what’s wrong with our country. The world is in desperate need of a different leadership role model. Everyone has seen the negative effects of self-serving leaders in every segment of our society. In fact, to a great extent, the whole economic downturn has been the result of self-serving leaders through the years who thought all the money, recognition, power, and status should move up the hierarchy in their direction, and everyone else be damned. The first secret for fixing Washington—having a compelling vision—was focused on the visionary/strategic, or leadership, aspect of servant leadership. Once an organization has a compelling vision, they can set goals and define strategic initiatives that suggest what people should be focusing on right now. With a compelling vision, these goals and strategic initiatives take on more meaning and therefore are not seen as a threat, but as part of the bigger picture. 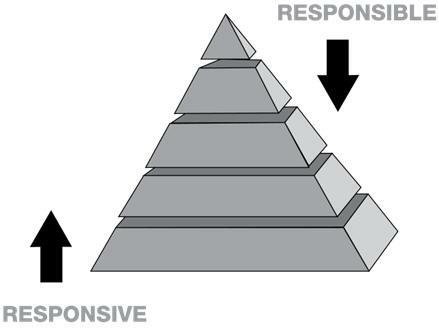 The traditional hierarchical pyramid is effective for the leadership aspect of servant leadership. People look to their organizational leaders for direction, as Americans look to Washington. While leaders should involve experienced people in shaping vision/direction, goals, and strategic imperatives, the ultimate responsibility remains with the leaders themselves and cannot be delegated to others. Servant leaders, on the other hand, feel that their role is to help people achieve their goals. 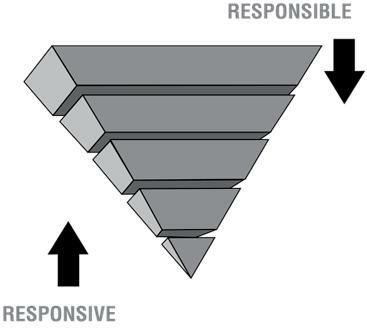 They intuitively know that effective implementation requires turning the hierarchical pyramid upside down so the customer contact people are at the top of the organization and can be responsible—able to respond and soar like eagles—while leaders serve and are responsive to the needs of their people, helping them to accomplish goals and live according to the vision/direction, goals, and strategic imperatives of the organization. Since the customer contact people are “in the know,” they see themselves as your responsible business partners and, therefore, are committed to not only serving customers but to solving problems. This is what the second and third secrets of fixing Washington are all about: We must treat our citizens as our business partners and involve all segments of society to solve our problems. To wrap up my Leadership Vision for America series, I’ll have some final thoughts for you next time and then a special message on November 3. Let me know what you think! When Eric Swanson and Sam Williams were working on their book To Transform a City, they come across a very interesting philosophy about problem-solving relationships. Paul Hiebert from Fuller Seminary discovered in the 1970s that when people come together to solve a problem, they often have a “closed circle” philosophy, or what he called a Bounded Set. A bounded-set thinker asks the question, “Do you believe like I believe?” This becomes a divisive question because it separates those who are in from those who are out, limiting people who are allowed to work on the problem to those who sign off on an agreed-upon belief. Whether it’s political, religious, or some other type of personal conviction—unless you believe what we believe, you can’t work on the problem. This philosophy doesn’t work because it is exclusive, not inclusive. The weeding-out process continues, the circle keeps getting smaller, and the problem doesn’t get solved. 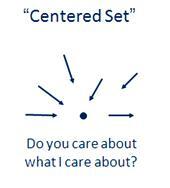 A more productive way to look at problem-solving relationships is an open philosophy Hiebert referred to as a Centered Set. 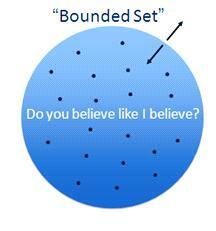 A centered set has no boundary that defines who is in and who is out. The question that determines if you are part of the problem-solving group is, simply, “Do you care about what I care about?” This philosophy works because it is inclusive of all belief systems and focuses on the matter at hand: Are you concerned about the problem we want to focus on? How would this work in Washington? It would be the job of the president and the legislature to first identify the key problem areas that need to be focused on to help keep America prosperous and safe. Next, they would select key people from each of the nine domains, whether inside or outside their own ranks, who care about each of the areas selected. Each of these groups would work with other American citizens to develop strategies to solve each of the key problems or concern issues going forward. The people working together could have all different kinds of personal convictions about things as long as they were all passionate about the key problem area they were working together on—whether it be the economy, homeland security, unemployment, affordable housing, balancing the budget, improving the educational system, or another important issue. A perfect example of someone who lived and breathed this philosophy was William Wilberforce, who helped stop slavery in England. It took twenty years. He traveled the country on horseback and got to know key leaders from all of the different domains. He didn’t care what they believed politically, religiously, or economically—all he asked the leaders was whether they agreed with him that slavery was wrong. If they agreed, he would help them determine how they could influence important people within different segments of society and get them on the “stop slavery” bandwagon. This led to a number of people from diverse backgrounds coming together to put an end to slave trading and ultimately abolish slavery in their country altogether. This is the type of process our government leaders need to put into action to deal with today’s pressing issues. Right now, Washington seems to be dominated by the bounded-set philosophy, where “you have to believe what I believe” to even begin to work together on a problem, let alone agree on a solution. So you have one big bounded-set group, the Democrats, at odds with another big bounded-set group, the Republicans. The only way to get anywhere is through compromise. What makes this third secret for fixing Washington so powerful is that it focuses on sustained collective action by all segments of society. Next time I’ll bring it all together with the fourth secret for fixing Washington, which involves a practice that’s near and dear to my heart: servant leadership. Are the people of America treated as business partners? I’ve laid out the first secret that would help our leaders bring America back to a healthy state: Create a compelling vision by knowing who we are (our purpose), where we’re going (our picture of the future), and what will guide our journey (our values). If our leaders had a clear, agreed-upon vision, it would help them set national goals they could focus on. But they shouldn’t try to figure everything out by themselves. That leads me to the second secret. Assumption: The more that people are “in the know,” the greater their commitment to work together to help solve problems. In my work in the business world, one of the things that has bothered me the most is watching leaders of companies in financial trouble go behind closed doors and make all the decisions by themselves in an attempt to turn the situation around. It’s amazing to talk to people in those organizations who didn’t even know there was a problem until major layoffs were announced. Those people certainly didn’t feel like business partners—they felt like victims. A lot of people don’t know that Southwest Airlines is over eighty percent unionized. When employees were first asked to vote on being union members, they came to cofounder Herb Kelleher to tell him what was going on. He said, “I love unions as long as they will let you sit on the same side of the table as me. If they want us to sit on opposite sides of the table, vote them down.” Union leaders have been present at every leadership meeting I have attended at Southwest Airlines. That’s quite a different story from other airlines that fight with their unions or even declare bankruptcy to break union contracts. At Southwest, they are one big family of business partners. That’s why I think many Americans don’t trust politicians—because they don’t treat the American people as business partners. They don’t share information with us. We know we’re going through a difficult time but we don’t really know the facts. Politicians are sitting around Washington trying to figure out solutions to our problems and they haven’t asked us to help. Our leaders need to do the same thing. Be honest with us. Tell the American people what the issues are and then go to communities around the country, let us know how we can help, and listen to our suggestions. I guarantee you that the citizens of this country have lots of good ideas and are willing to work with our leaders to find solutions for America’s problems. If our leaders in Washington would start seeing American citizens as true business partners, it’s amazing to think of what we could accomplish together. Would you agree? When it comes to getting America back on track, I believe involving every segment of society is essential. I’ll talk about that in my next post.